30 cards to practice verb tenses- particularly third person singular. Start with the two present tenses in all forms and proceed to the past and future tenses. Add a time word and see if the student can use the correct tense.Perhaps the cards and the oral practice will reinforce the correct usage of verb tenses where worksheets have failed. Here's hoping! Clip art from: MyCuteGraphics.com. 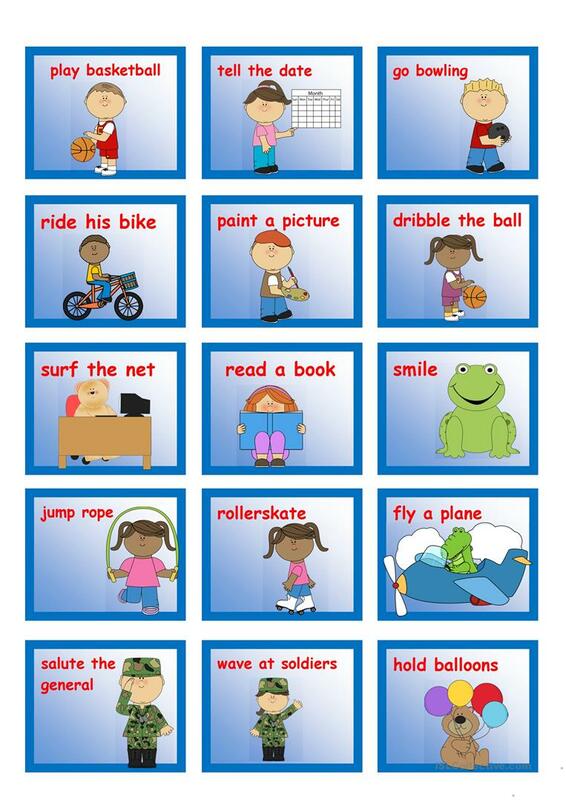 The above downloadable printable is best suited for high school students, elementary school students and students with special educational needs, learning difficulties, e.g. dyslexia at Pre-intermediate (A2) and Intermediate (B1) level. It is valuable for consolidating Future tenses, Past perfect simple tense, Past simple vs continuous tense, Present perfect tenses and Present simple vs continuous (progressive) tense in English, and was designed for working on your learners' Speaking skills. 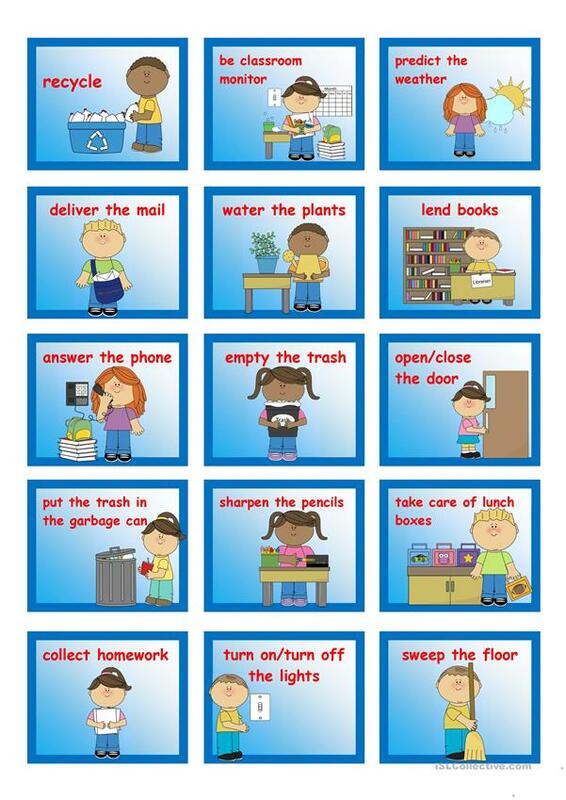 It features the vocabulary topic of Ability, Actions and Daily routines.